Parking tickets in large cities like San Francisco can add up to a hefty sum. In fact, the cost for an expired meter ticket in the city is $74, and that can create a real financial hardship for low-income residents. So San Francisco's Treasurer has a plan to help low-income people pay fines and fees. San Francisco Treasurer Jose Cisneros wants to give low-income residents more options when it comes to paying fines and fees. 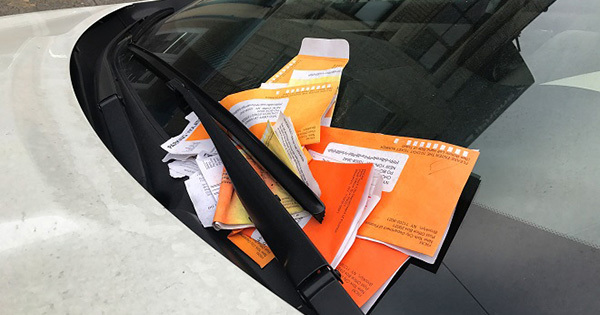 Parking tickets are inevitable in big cities but low-income people can't pay the tickets, or even the meters. One family accumulated $1,300 in parking tickets, and are still trying to dig their way out of the financial debt. Cisneros' recommendation is to allow low-income residents to pay a percentage of a fee. The San Francisco Municipal Transportation Agency (SFMTA )is open to discussions but also points out that the city already has programs to help the low income. This includes paying a little at a time, or doing community service to work off the balance. Their primary concern with Cisneros' proposal is where the money from lost ticket payments will come from. San Francisco is not only one of the most expensive cities in the country, but they also have the most expensive parking ticket structure in the country. The SFMTA makes $290 million a year in parking fines and fees.